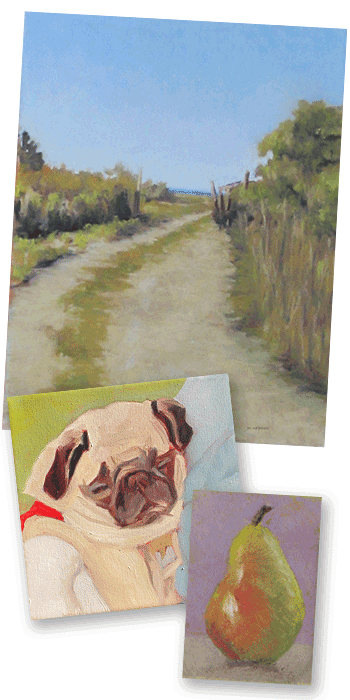 Mary began painting after she relocated from New York to Tiverton, Rhode Island where she discovered the joys of the Plein Air experience. She creates most of her small works, none over 9 by 12 inches, in pastels. She occasionally explores the possibilities of oils as well. She enjoys challenging her skills portraying landscapes, still life subjects, and frequently, the human form. Recently Mary has been painting and drawing portraits.